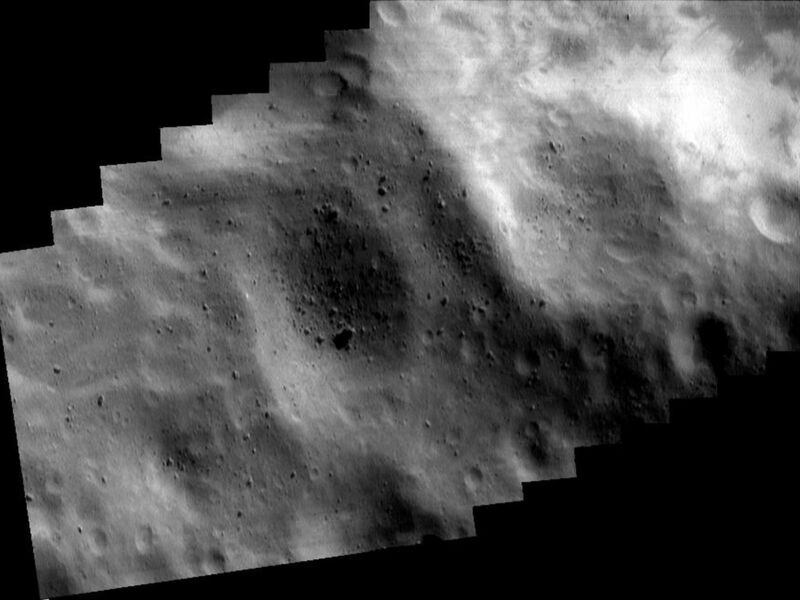 This mosaic of eight images -- which NEAR Shoemaker snapped on May 14, 2000, from an altitude of 50 kilometers (31 miles) -- covers the region southwest of Eros' large, 5.3-kilometer (3.3-mile) diameter crater. The bright patches at upper right are relatively freshly exposed regolith on the inside wall of the crater. 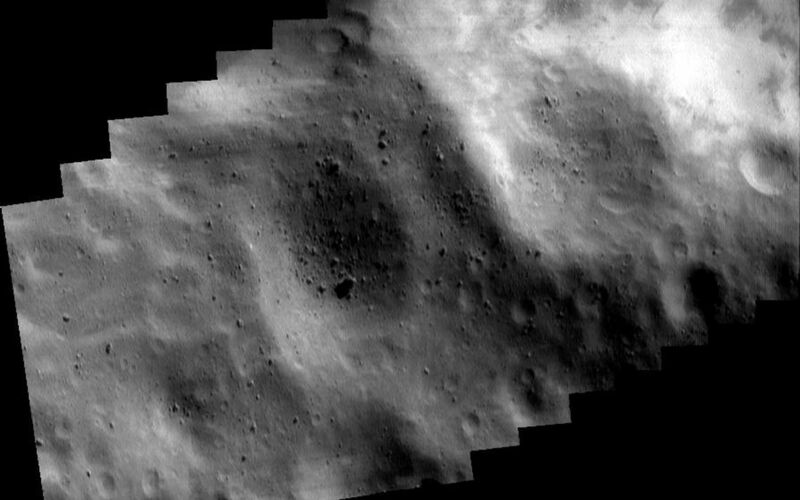 The two large, subdued craters in the center of the mosaic are each about 1 kilometer (0.6 miles) wide. The boulder on the floor of the crater to the left is one of the larger rocks on Eros, more than 90 meters (295 feet) across. The whole scene is about 4 kilometers (2.5 miles) across.